Chris offers a 40 minute complimentary Breakthrough to Liberation session for you to gain clarity on your situation and your options for what's next - and to get a good sense as to whether indeed you and Chris would be the partnership for you to achieve what you want. If not, Chris will endeavour to provide ideas as to people or directions that would serve you well. To gain a complimentary Breakthrough to Liberation session, add your details on the form on the right. Here are some options for individual as well as group contexts. The main gatherings are monthly, on the night of the full moon. Click here for more information. 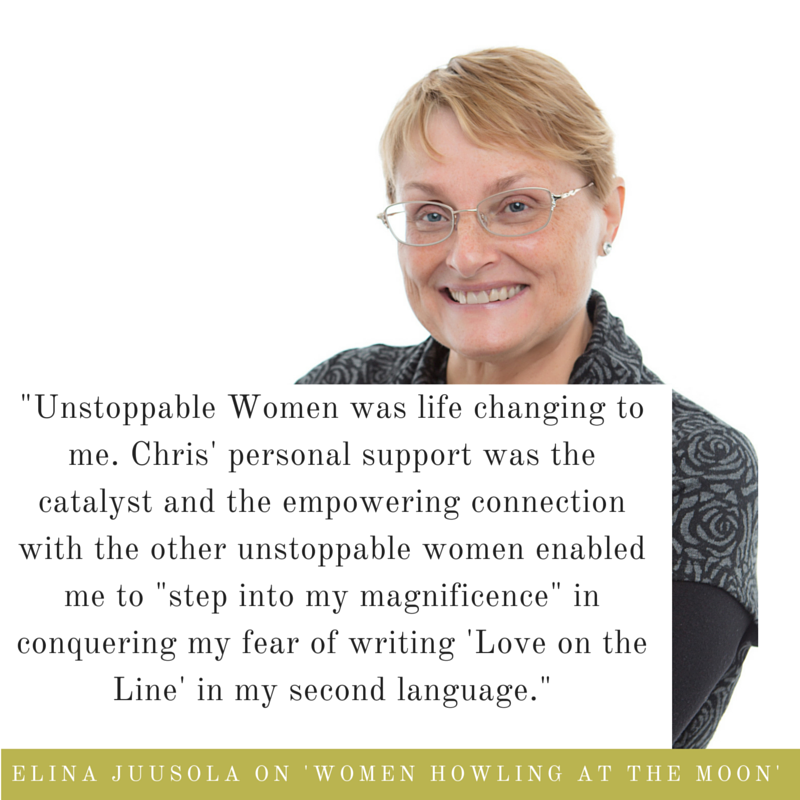 The evenings include a component of coaching, and an opportunity to gain much from Chris and the community of inspiring women committed to being and doing their best for themselves and the planet. A four week online small group streamlined coaching program designed to step up your experience and effectiveness - on your terms - in a dimension of life important to you. Instead of feeling dissatisfied, that you're wasting your potential, your experience will be one of liberation - - AND you''ll have a better idea of what you want next. This three month intensive group initiative offers the most powerfully transformative experience you could imagine. There are seven steps we go through that start with your needs and end with powerful delivery on your part, on the area/s most important to you - supported by a small community of inspiring women who are similarly committed to realising their dreams, as well as being there for each other. When available. For example, see the option listed on the Events and Blog page. Note that a date is yet to be set. Subscribe for updates - and claim your free gift - at the top of the home page to stay posted on opportunities for connecting or working with Chris. For a complimentary Brakthrough to Liberation session...Add your details below to get started. You'll receive a short questionnaire to assist in creating clarity about whether this session could be what you want. You will also be able to book your own appointment for our time together.